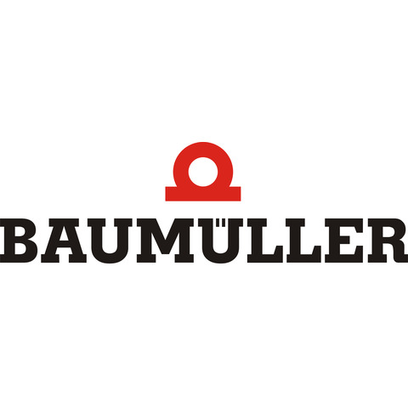 Headquartered in Nuremberg, Baumüller is a leading manufacturer of electric automation and drive systems. With the help of almost 2,000 employees spread across six production locations and over 40 subsidiaries worldwide, Baumüller plans, develops, manufactures and installs intelligent system solutions for mechanical engineering and e-mobility – ranging from user interfaces, motion control software, PLCopen, software modules and controls right through to converters, electric motors and the entire range of services for automation solutions. Baumüller is at HANNOVER MESSE 2019 to wow the crowds with a wide range of innovations and highlights. Visitors to the stand are given a tour themed on product lifecycle management (PLM) - after all, Baumüller is a full-service provider, covering both the development and production of components as well as system solutions, and countless services for mechanical and plant engineering as well as for machine operators. Under the slogan "Enabling Industry 4.0: Value creation in every phase," visitors go through each phase of the lifecycle while touring the exhibit, getting up close and personal with the solutions and products used in each section, using the example of a welding robot. The tour begins with the "technology package”" - an automation system ranging from the high-performance b maXX PCC-04 box PC to the high-precision DSH1 servomotor series. This is followed by "engineering" in the form of a ProMaster end-to-end engineering framework for all automation tasks, including the new motion library for multi-axis applications. The next stages are "virtual startup" for reduced time-to-market using the new ProSimulation tool, and "production", with the BAUDIS IoT optimization tool for predictive maintenance and process optimization. The tour concludes with the "service" module, which features intelligent service concepts - from machine assembly to the global spare parts concept.